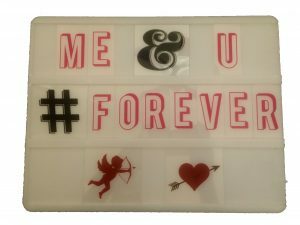 Have you seen the fun, new Heidi Swapp Lightbox? It offers an easy way to create a marquee that matches the theme of the occasion at hand, like holidays, birthdays, or just for fun! There are background images, letters (in a variety of colors) so you can write what ever you want, phases and even fun icons. 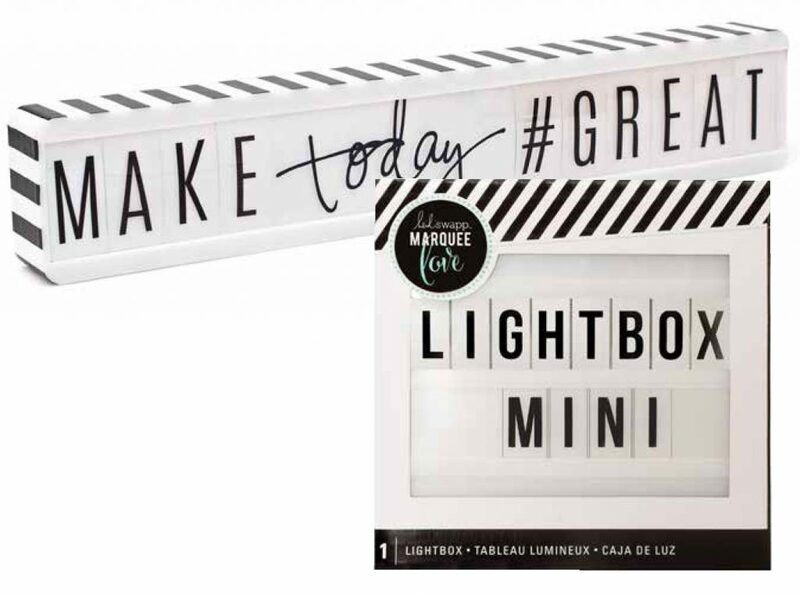 The white Lightbox comes with a cord, so you don't have run it off batteries. You do have the option to use batteries if you prefer, though. I made two different designs to demonstrate how simple and yet delightful this really is. 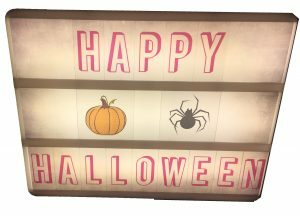 I was nervous about not having enough of the right pink letter Lightbox inserts to spell out Happy Halloween. I only used one package and it did the trick. I also used the nifty Holiday-themed Lightbox Icons. By my count, there are at least two icons for each major holiday! For the second example, I went with a Valentine's day theme. Really, you can do this one any time of year. You don't need a reason to be romantic. Like I mentioned with the Halloween project, the Holiday icons allowed me two options: cupid and a heart. I couldn't choose between them and why not both? personalize it for an evening with friends, for example, make it into a sign welcoming guests to your murder mystery party. Really, the possibilities are endless. Well, then you are in luck! 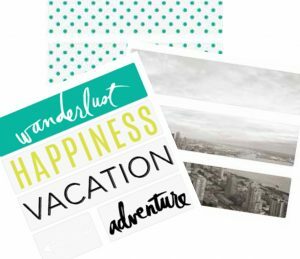 Heidi Swapp is coming out with a new mini Lightbox and a Lightbox Shelf along with a bunch of creative inserts These are coming out about the middle of November so we will have them available soon for pre-order. They will be in stock before you know it! Here is a little sneak peak of the new stuff that is coming out! Above are some samples of new icons that will be available. There will also be new options for alphabet inserts, as well as phrases. Last but not least, this new release includes some awesome options for backgrounds! Pro tip: I had a hard time putting the letters over the top of the background, but found it was super easy to add the background behind the letters. There is plenty of room for both, so you will just have to figure out what works best for you. 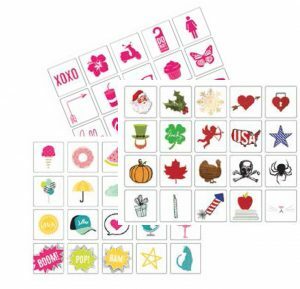 We carry lots of options for American Crafts Heidi Swapp decorating projects, including Heidi Swapp Letterboard, Marquee Love. Happy creating!